With the Thanksgiving holiday just days away, next week is probably a short week for you with regard to meal prep. I know that for me, when I know I’m traveling or have a holiday coming up, I need to adjust my meal prep plan. 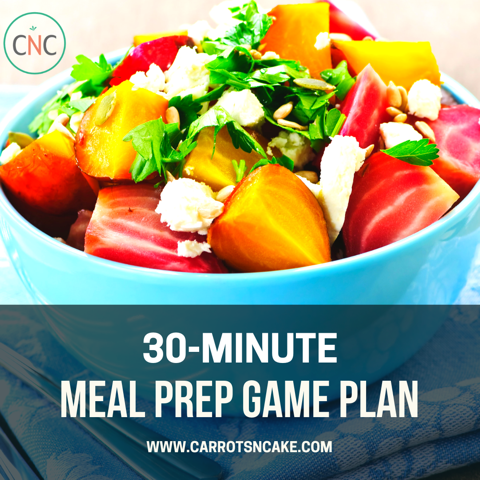 Even just prepping a few items can make all the difference when it comes to healthy eating, but, of course, you don’t want to waste food either. 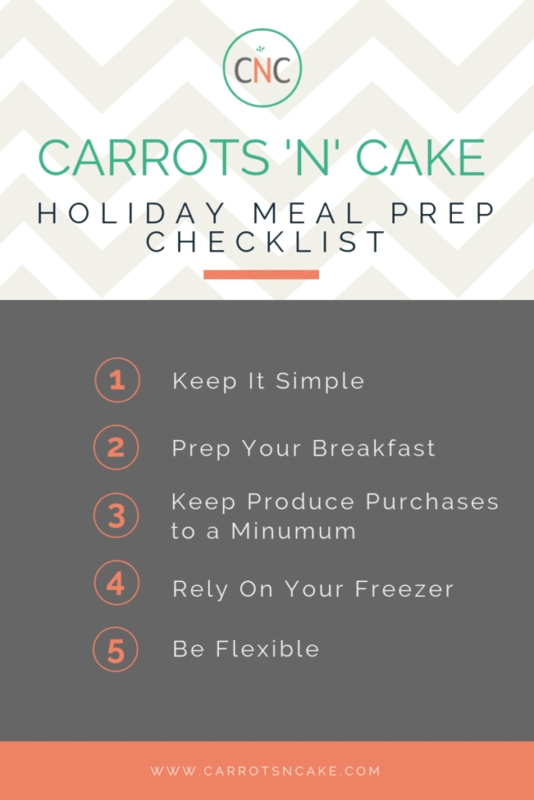 That said, here are a few tips and tricks to make the most of your meal prep during a holiday week. 1. Keep it simple – For real. 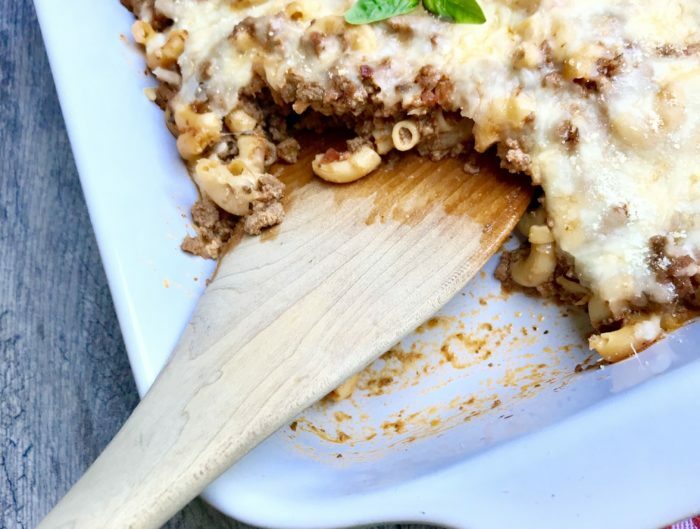 Pick one protein and/or one super versatile recipe, like Crockpot Shredded Chicken, Chicken Sausage + Roasted Veggies, or One-Pan Taco Skillet, and call it a day. The last thing you want is a fridge full of prepped food when you leave to visit family or have one million leftovers after Thanksgiving dinner! 2. 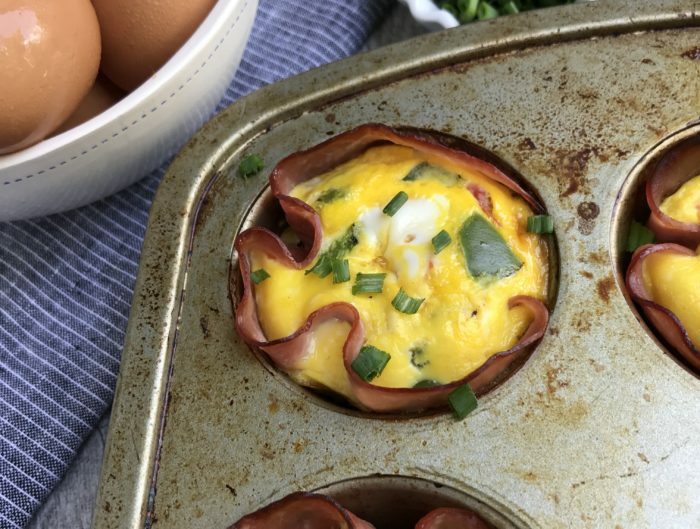 Prep your breakfasts – Make and prep the exact number of breakfasts you need for the week. Only have 3 workdays? Make 3 batches of overnight oats or only buy 3 containers of yogurt for the week. No need to buy extras! 3. Keep produce purchases to a minimum – Spoiled produce is truly the saddest thing ever. I really hate to see food go to waste, so I typically under-buy when there’s a short week, so nothing goes to waste. 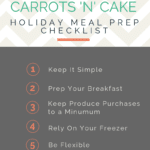 What are your favorite tips and tricks for meal prep during a short holiday week? ;No big deal at all…but since i’m a speech therapist…Holiday is spelled wrong in the title 🙂 Just a heads up…love your blog and have followed for years. Great tips! I have tons of frozen soup and chilis that I made a few weeks ago that I plan to thaw out. These will be our lunches and dinners for the short work week! Plus, it gives us room in the freezer to store a turkey! Yep! Thank you for the tips! I guess I’m ready to buy some produce for holiday.